Need another reason to get outside with your kids? It’s good for their eyes! Children who spend more time outdoors are less likely to be near-sighted. This is a correlation, not proven cause-and-effect; my grandmother would tell you the real cause for better eyesight is that the outdoorsy kids spend less time reading books in dim light. Still, it seems like a good reason to put on the snow boots and head outside. The incidence of near-sightedness has been on the rise over the last few decades in many countries, suggesting that something more than genetics alone is at work, Aamodt and Wang say. 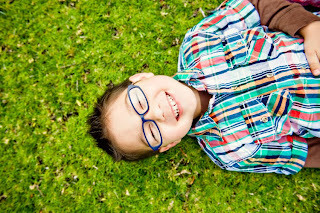 Although the reason for the positive association between time spent outdoors and good eyesight is unknown, they offer the hypothesis that bright outdoor light may provide better conditions than dim indoor light for the development of the correct distance between a child’s pupil and retina. Since earlier generations spent many hours outside every day, Aamodt and Wang say, our eyes may develop better if we spend more of our childhood outdoors. Playing armchair neuroscientist, I wonder if spending time outside also helps because kids are focusing on objects at a range of distances, rather than staring for long periods at a book or computer screen at the same distance from their eyes. Aamodt and Wang don’t address that question, but I know where my grandmother would stand. - Check out Aamodt and Wang’s blog, Welcome to Your Brain. Great Kids, Great Outdoors is an AMC Outdoors blog, written by Kristen Laine and Heather Stephenson. Heather wrote this post.